Few entrepreneurs inspire quite like Zingerman’s Ari Weinzweig. Ever since starting his first company over thirty-five years ago, Ari has rejected conformity and embraced creativity to achieve success on his own terms. Shake up any traditional notions of what it takes to be an effective business owner as you listen to my chat with Ari on this week’s donothing podcast. 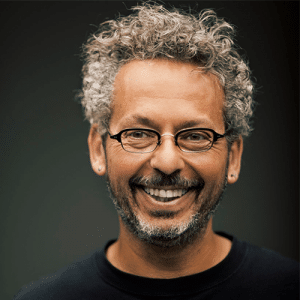 Ari Weinzweig is the CEO and co-founding partner of Zingerman’s Community of Businesses, which includes Zingerman’s Delicatessen, Bakehouse, Creamery, Catering, ZingTrain, Coffee Company, Roadhouse, Candy Manufactory and Cornman Farms. Zingerman’s produces and sells all sorts of full-flavored, traditional foods in its Ann Arbor, Michigan home to the tune of $60 million in annual sales. Ari was recognized as a 2006 inductee in the Who’s Who of Food & Beverage in America by the James Beard Foundation, and has been awarded a Bon Appetit Lifetime Achievement Award among many other recognitions. Ari is the author of works including Zingerman’s Guide to Better Bacon, Zingerman’s Guide to Giving Great Service, Zingerman’s Guide to Good Eating, Zingerman’s Guide to Good Leading, Part 1: A Lapsed Anarchist’s Approach to Building a Great Business and A Lapsed Anarchist’s Approach to the Power of Beliefs in Business. In 2017, Ari was named one of The World’s 10 Top CEOs by Inc. Magazine. His most recent publication is the pamphlet “The Art of Business: Why I Want to be an Artist”. Subscribe to the donothing podcast to discover simple, practical tips and tools from mindful, high-performing leaders that you can implement in your leadership philosophy today. I could use your help! If you are enjoying the podcast, please subscribe on any of the platforms you listen on and leave a review. These small actions help extend our reach and keep the show going. This year’s retreat will be held at the pristine Shambhala Mountain Center in Red Feather Lakes, Colorado from April 15-18. Dive into the biggest leadership challenge of your life and discover the power of doing nothing. Learn more about the donothing retreat now!